Every maker has a story. Be a part of So Southern Accents's story by placing an order, leaving a review, and seeing your review appear here. Extra large toy box made and painted for a little boys room. It was painted to match his theme. Printed with strips, puppy dog, and dog house. 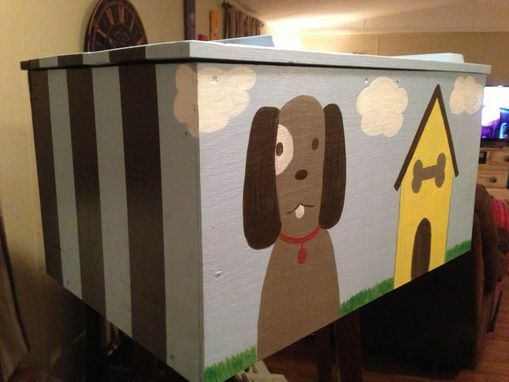 Toy box is made by hand and painted.